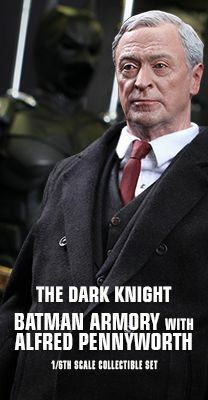 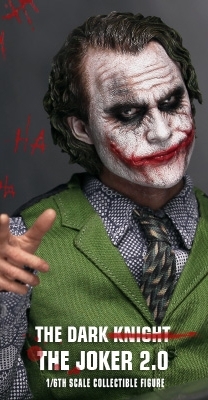 The Dark Knight Trilogy by Christopher Nolan has pushed the popularity of Batman to the peak. 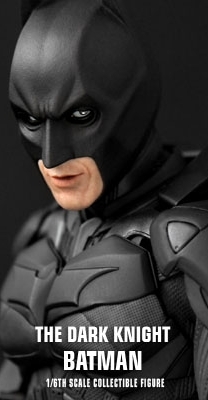 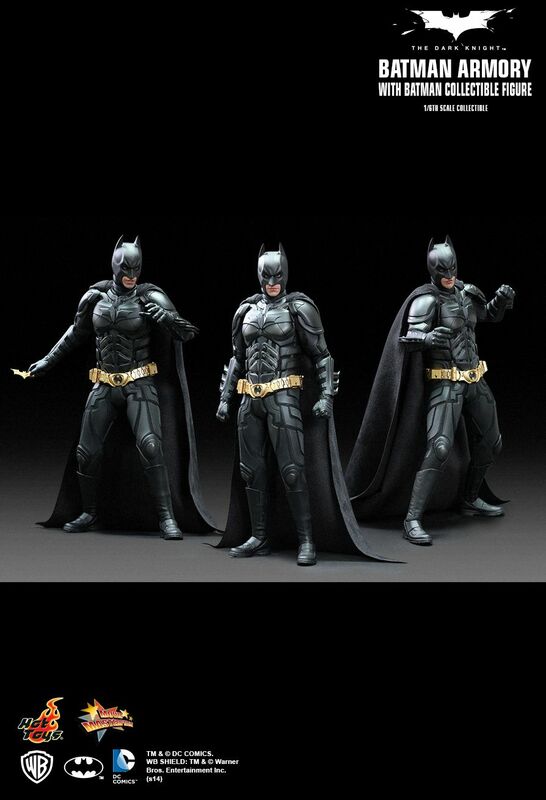 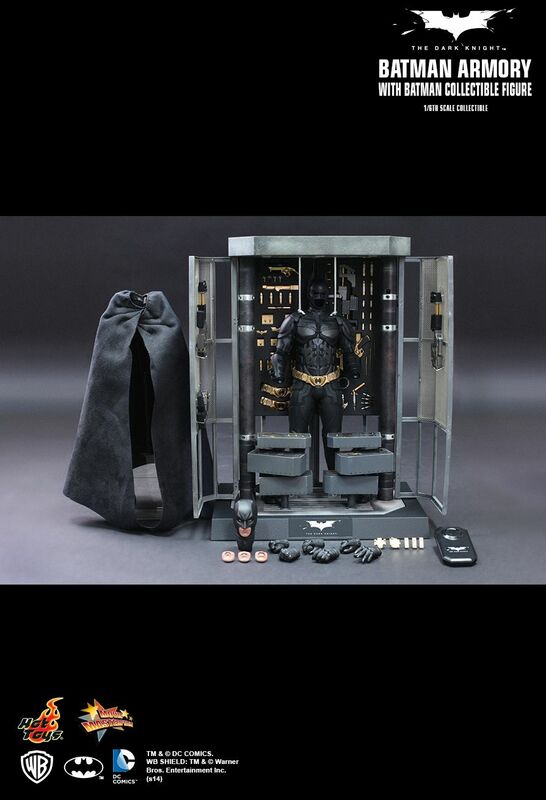 Following the release of a number of Batman collectibles by Hot Toys, we are now excited to present the fans anticipated Batman Armory from The Dark Knight. 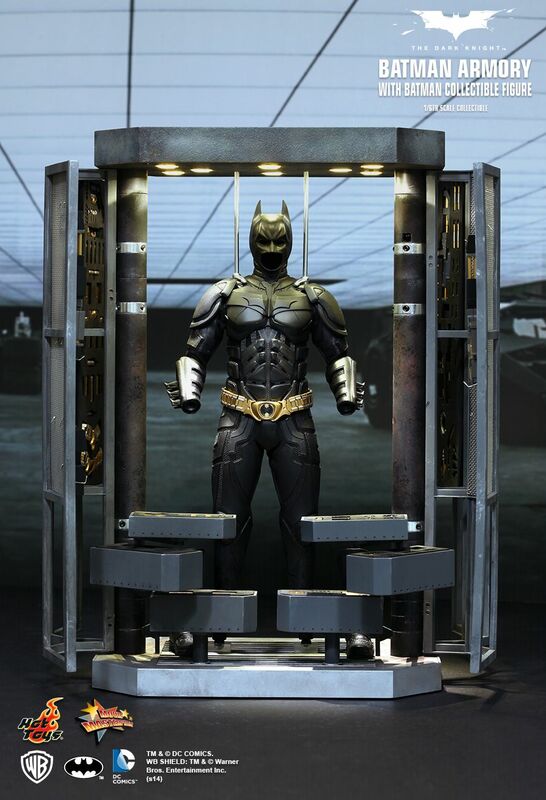 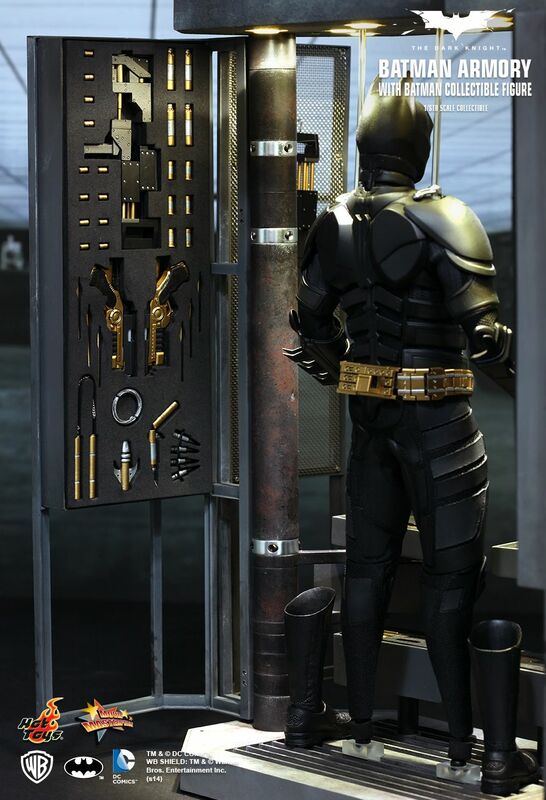 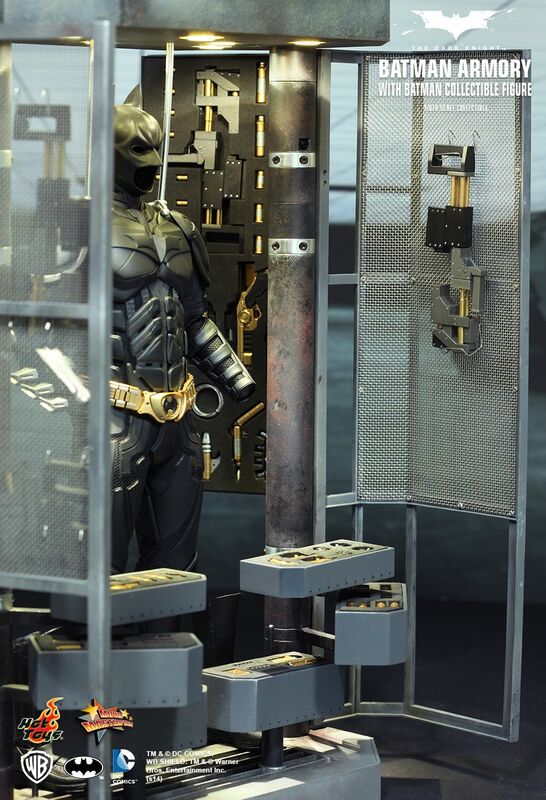 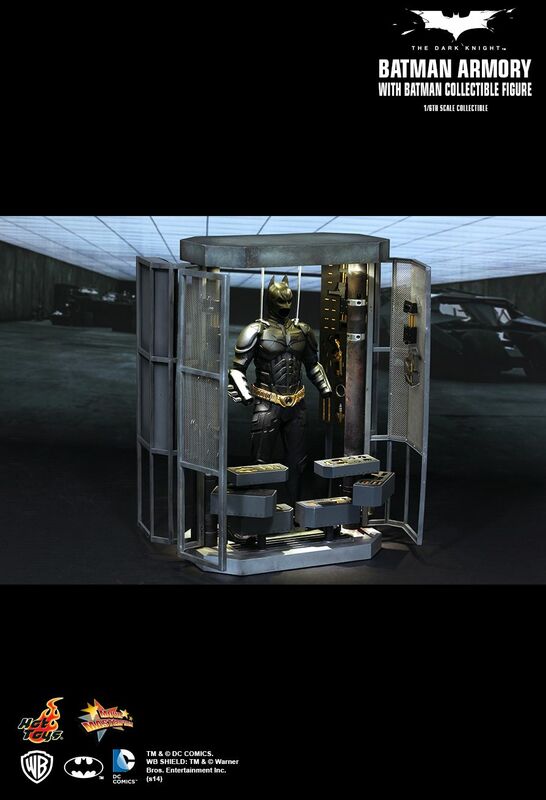 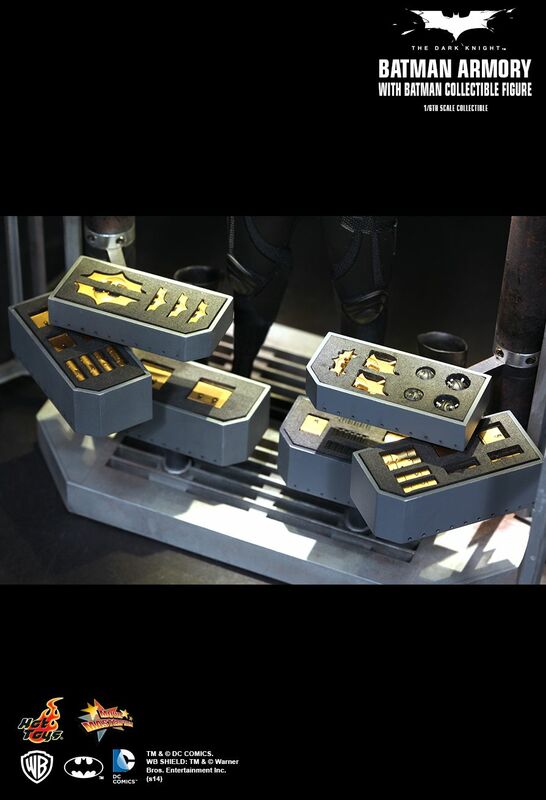 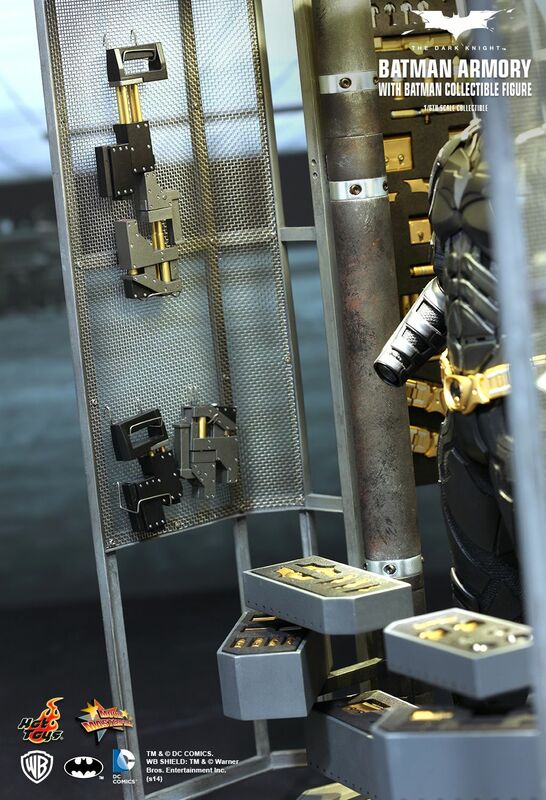 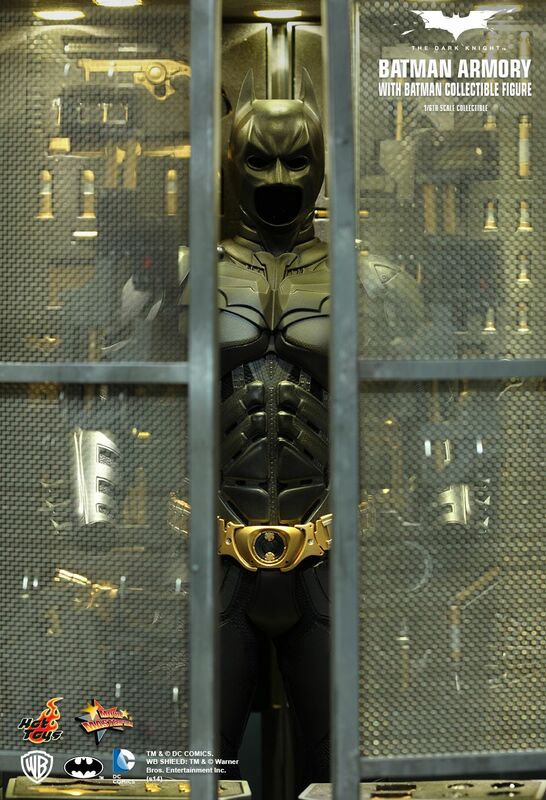 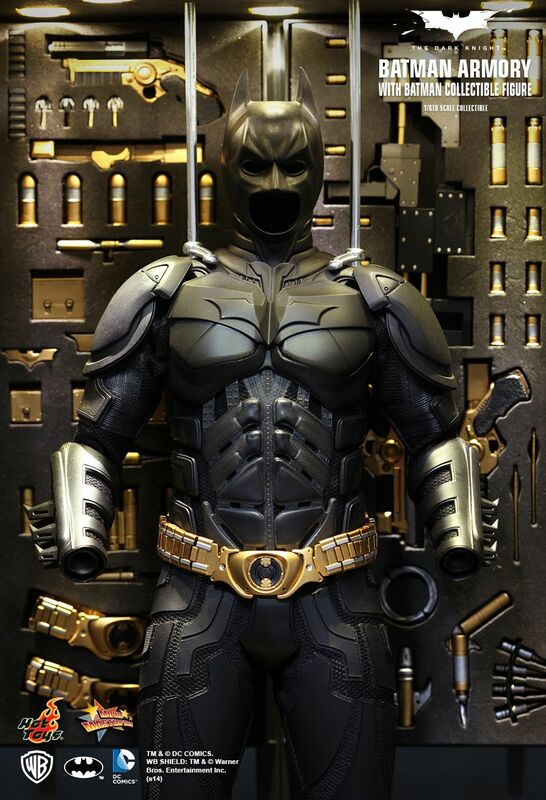 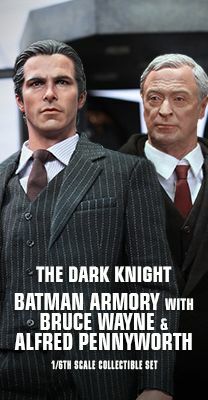 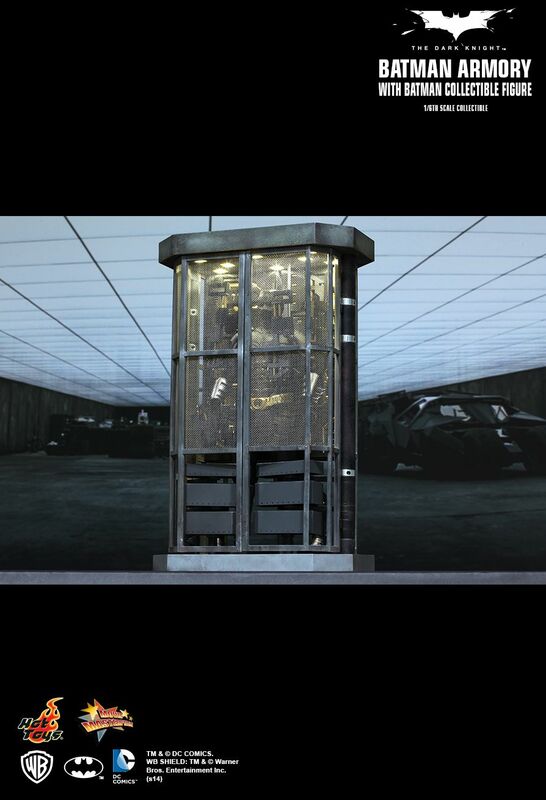 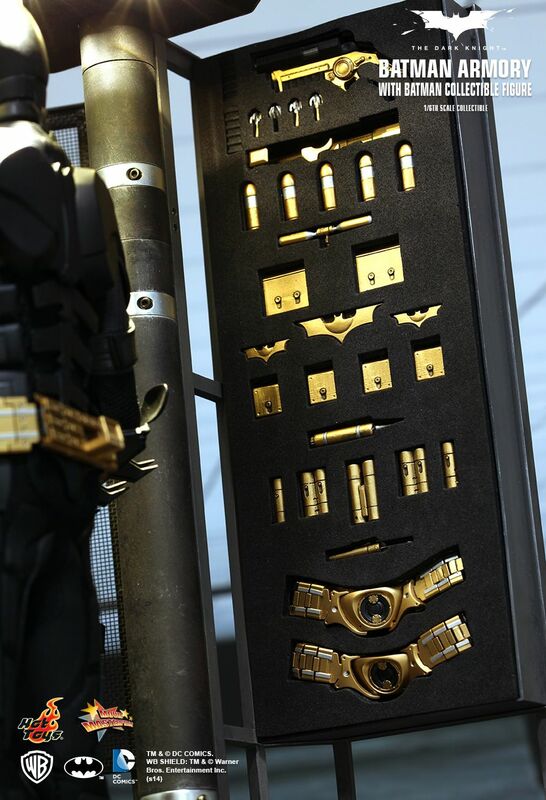 As portrayed in the movie, Batman uses a specialized armory to store all of his state-of-the-art weaponries and gadgets. 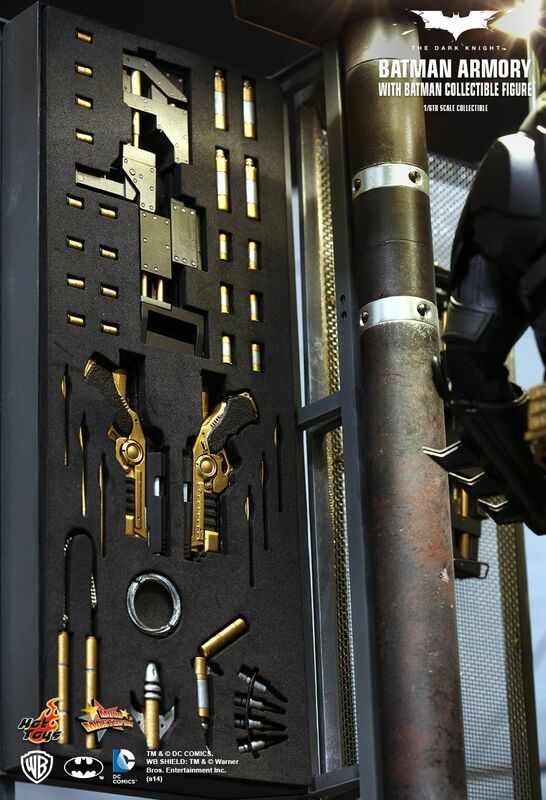 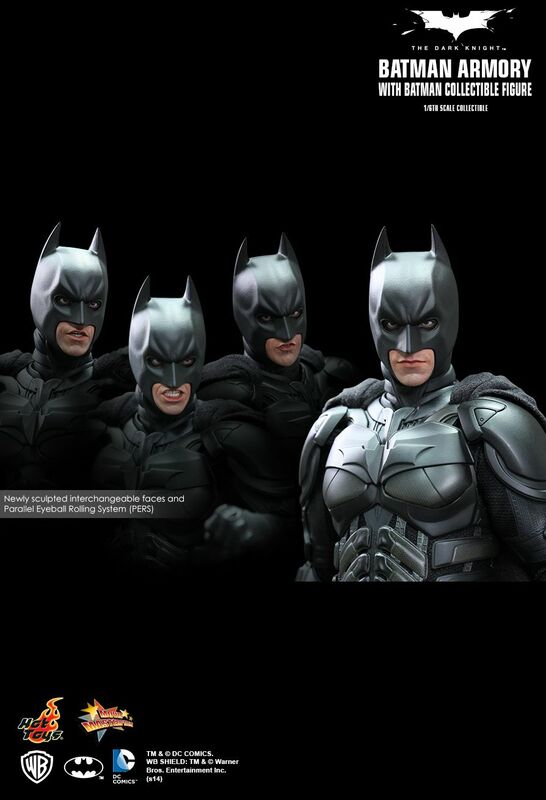 Hot Toys is proud to present the 1/6th scale Batman Armory which is highly detailed and specially crafted based on the film, featuring a Batman collectible figure with patented Parallel Eyeball Rolling System (PERS) and four newly sculpted interchangeable expressions, and a large collection of finely sculpted weapons and accessories.